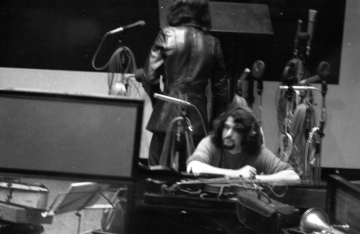 <?xml:namespace prefix = o ns = "urn:schemas-microsoft-com:office:office" /> I photographed Gentle Giant at Trident Studios at 17 St. Anne's Court, just off <?xml:namespace prefix = st1 ns = "urn:schemas-microsoft-com:office:smarttags" />Wardour Street in London's Soho in August 1970 as they were recording tracks for their first LP, produced by Tony Visconti who also produced many of the eras biggest band names. 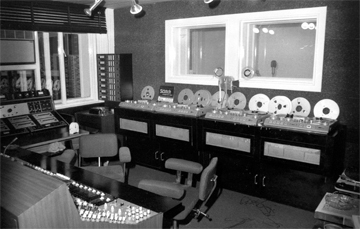 Trident studios was constructed in 1967 by brothers Barry and Norman Sheffield, the first major hit recorded there was "My Name's Jack" by Manfred Mann in March 1968. 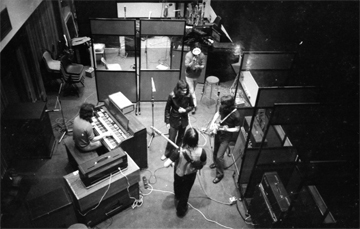 Later during the early 70s, some of the most reputed artists used the studios, including Marc Bolan/T.Rex, Carly Simon, Frank Zappa, The Rolling Stones, Queen, Free, The Plastic Ono Band, Lindisfarne, Dusty Springfield, The Mahavishnu Orchestra, Krisma, Jeff Beck/Rod Stewart. 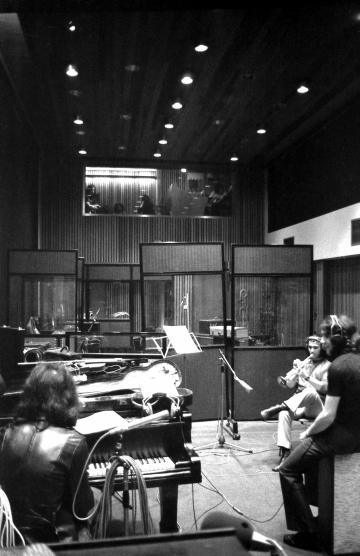 The Beatles were probably the most famous band to use the studios. 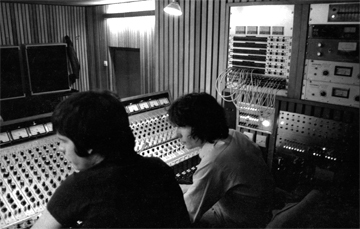 It was Trident's Ampex eight-track machine that drew them there on July 31st 1968 to record "Hey Jude". 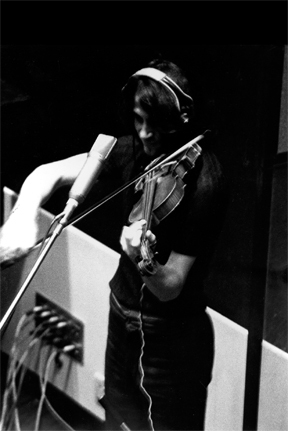 They also recorded the White Album tracks "Dear Prudence", "Honey Pie", "Savoy Truffle" and "Martha My Dear" there. 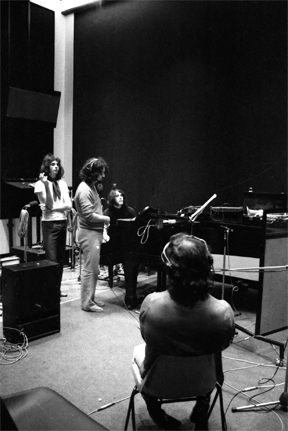 On February 22, 1969, They had also first recorded "I Want You (She's So Heavy)" for the album Abbey Road. 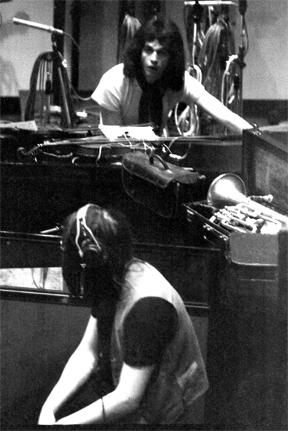 John Lennon and Yoko Ono later returned with The Plastic Ono Band to record "Cold Turkey" featuring Eric Clapton on lead guitar. 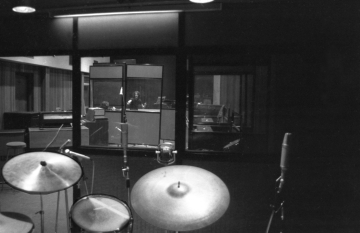 Many Apple artists used Trident Studios to record, including Billy Preston, Mary Hopkin, and James Taylor. 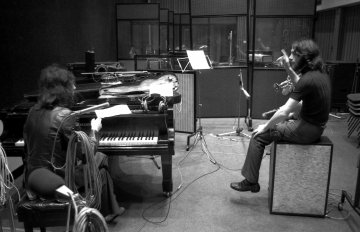 Some of George Harrison's triple album, All Things Must Pass, containing the hit "My Sweet Lord", and Ringo Starr's "It Don't Come Easy" were also recorded there. Harry Nilsson recorded "Without You" at Trident, and parts of several of his 1970s albums. The studio gained a reputation for its hand made Bechstein concert size Grand Piano (No. 44064 Bracing No. 11870 'Ebonized' metal frame, seven octaves with ivory naturals and ebony accidentals) that was over 100 years old. 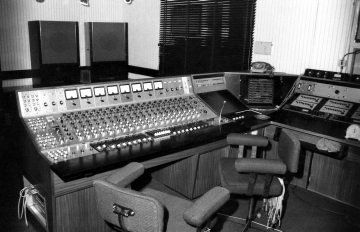 Because it’s unique sound was perfectly suited to many of the recording bands and artist of the time, the studio later bought it in 1986, having previously rented it from Samuels since the mid 1960s. 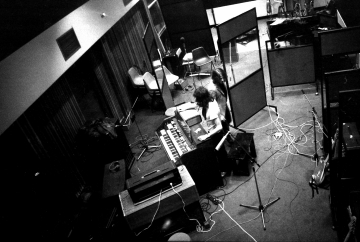 The Beatles white album was recorded on it after live rehearsals at EMI because the piano's crystal clear definitive sound was the instrument that suited that recording. They also recorded "Hey Jude" on the piano. Others musicians who used it were Elton John (Your Song), David Bowie and Freddie Mercury also played on the instrument. 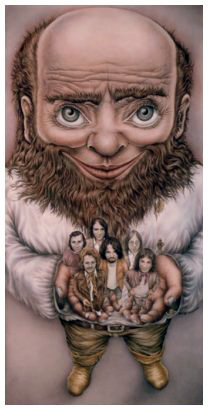 When the studio closed it was auctioned at Sotheby’s in 1993 at a sale of Rock ‘n‘ Roll memorabilia. The guide price was £300,000 - £400,000 when tthe buyer took it to the United States of America. 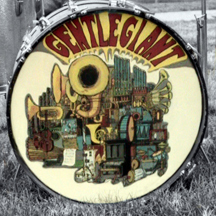 The 'Giant' LP cover shown with the kind permission of the artist George Underwood. 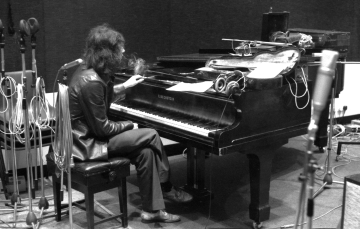 Kerry sitting at the grand piano, also used by the Beatles. 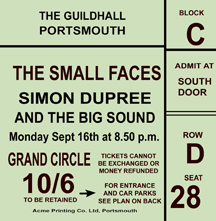 Gary Green and Kerry Minnear. 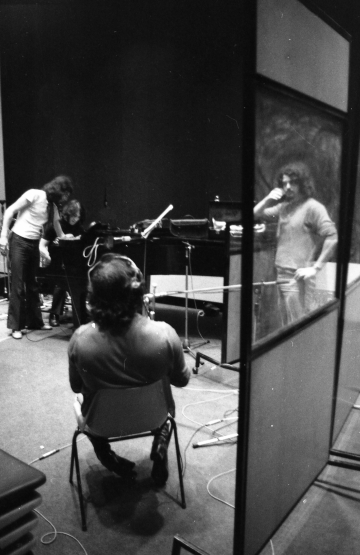 Producer Tony Visconti, left, in the control room. Derek, Gary, Kerry, Phil, Ray. Phil Schulman playing trumpet as Derek watches from the control room above. Kerry, Derek, Ray and Phil. 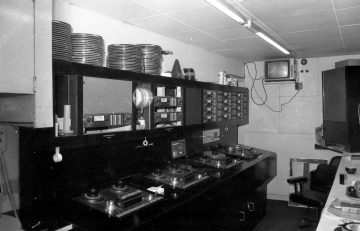 8 track reel to reel tape recording studios. Derek Schulman listening to playback. Looking down to the studio from the control room, Kerry at the organ. 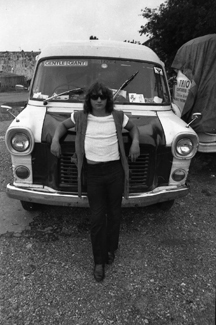 'Gentle Giant' roadie Mark with the Transit.